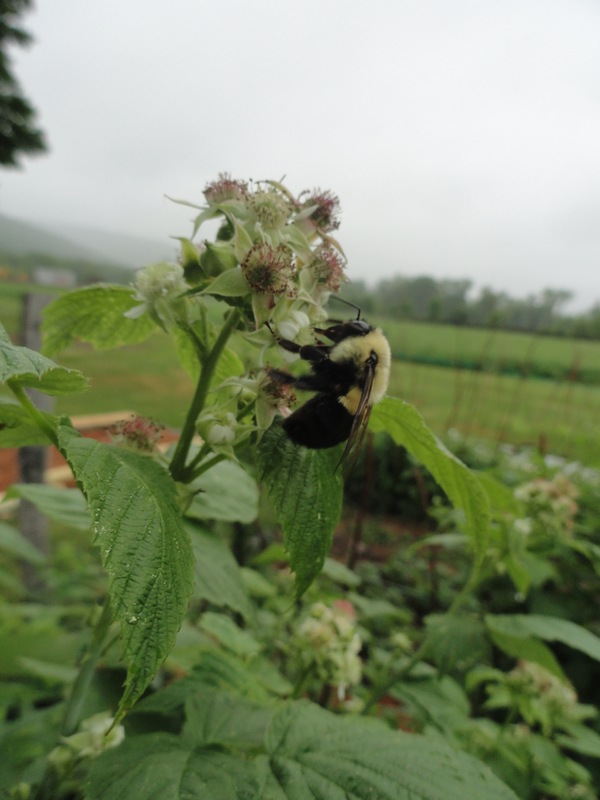 The Micro Farm is a “buzz” with activity. The strawberry patch is also producing lovely berries this year. Such a nice crop mean I need to protect the ripe berries from animals nibbling. I use a bird netting purchased at a local nursery. It keeps most of the critters from eating the ripe fruit. 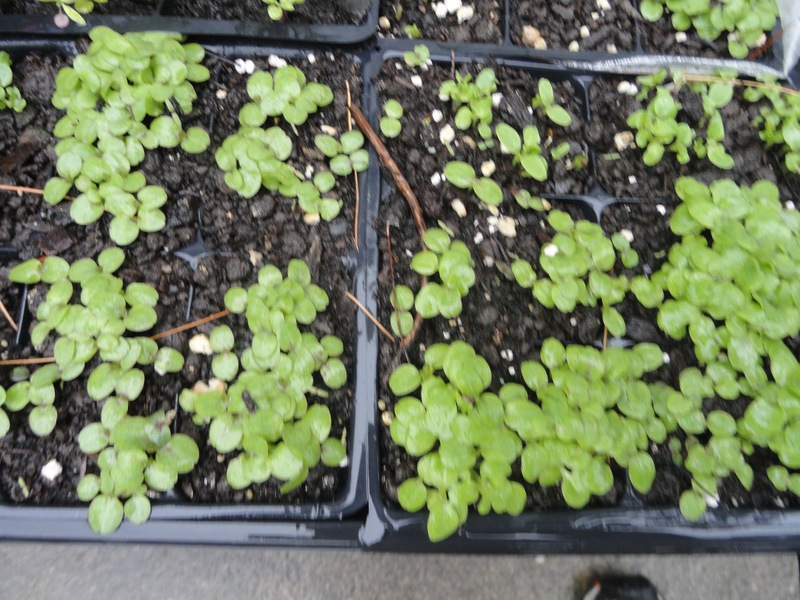 I spent a good deal of the week transplanting seedlings. One evening while working on the Micro Farm. I noticed small movements near my neighbor’s shed. Sure enough two small rabbits. I knew I needed to do something to protect my tender and young plants. 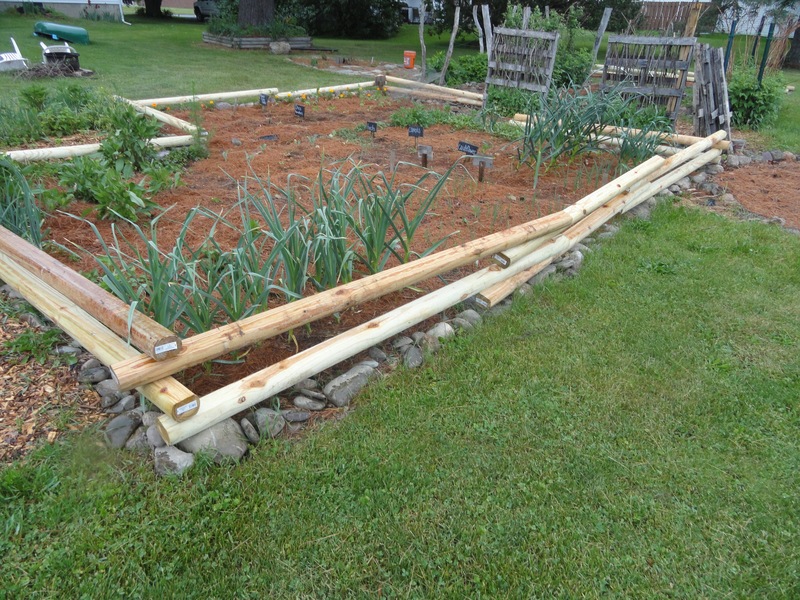 Fencing is what I needed, but I wanted to avoid the traditional woven metal fence. A local home store had landscaping timbers on sale, decision made. Hopefully this will keep the rabbits out. We will have to wait and see. I transplanted tomatoes, peppers, celery, cabbage, and cauliflower. I also planted five pounds of seed potatoes, another 75 onion sets, beets, edamame, popcorn, and carrots. Growing greens has been a failure so far this season. 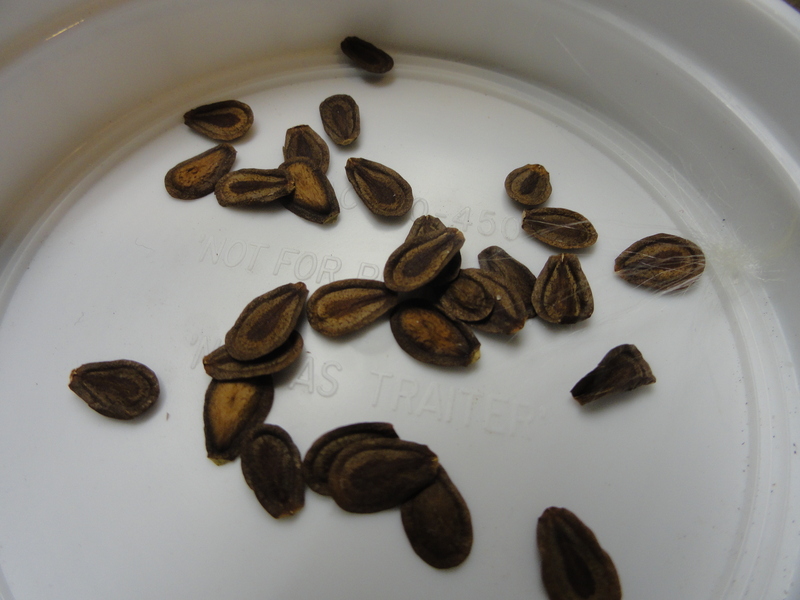 So I am tried putting some seed in six-packs to determine the quality of the seed. The seed produced well. I In another week I will put them into the ground. As the rain falls tonight. I am excited to see how the young plants spring to life over the next week. Some weeks the work around the Micro Farm revolve completely around plants and plant care. Other weeks, like this past week, work revolves around preparing a place for plants. When work is not directly plant and plant-care related often it is focused on soil improvement. Project one was moving the herb bed. 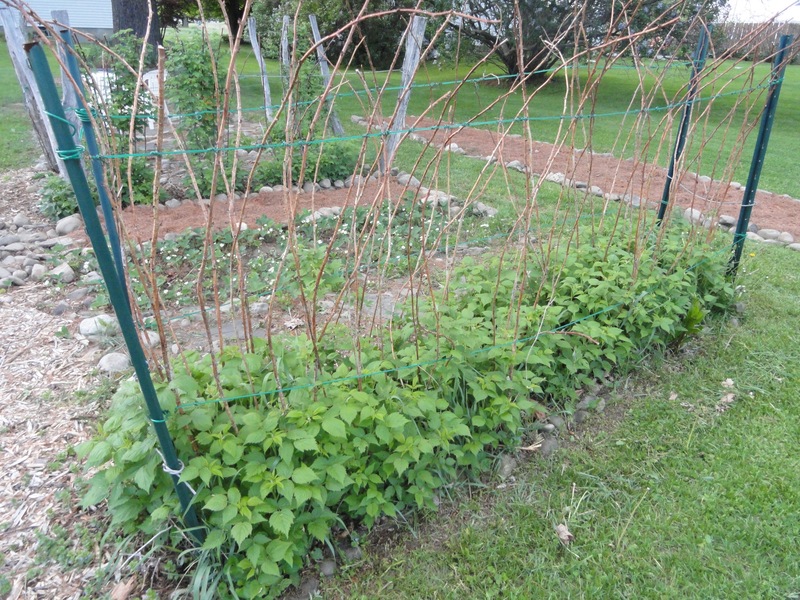 I wanted to get control over the herb bed which has been assaulted by a very aggressive mint. 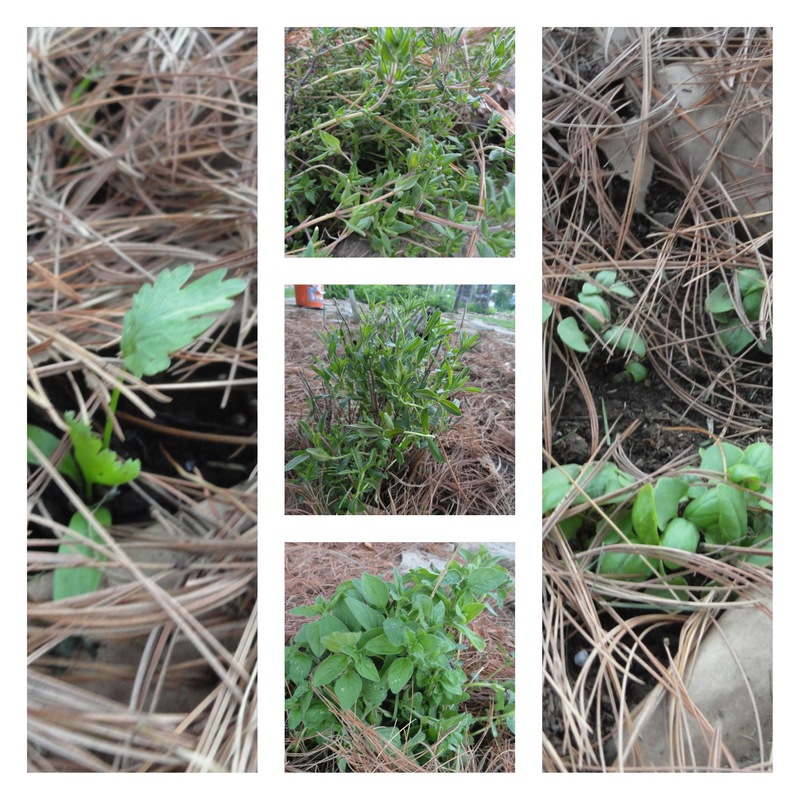 My plan is to relocate the herbs that I want to keep, and then figure out what to do about the mint bed. Creating the new herb bed posed one problem. There was a large metal pole in the area I wanted to plant in. I had tried to find a way to use the pole so I would not have to dig it out. However, none of my ideas were visually appealing to my taste. So dig it out was the best answer. 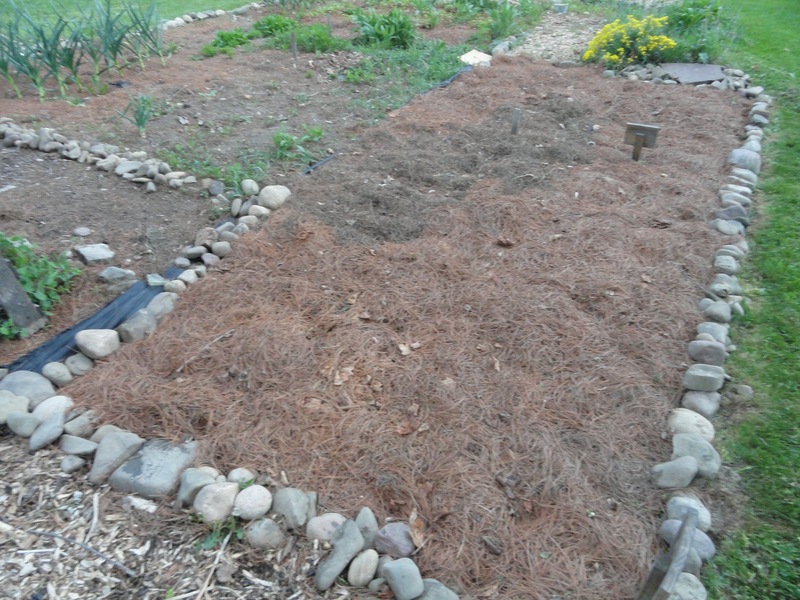 I will get some more cardboard, then lay a mulching layer of pine needles down, finally transplant the herbs into their new home. My local furniture company gave me a king-bed box, which was awesome. 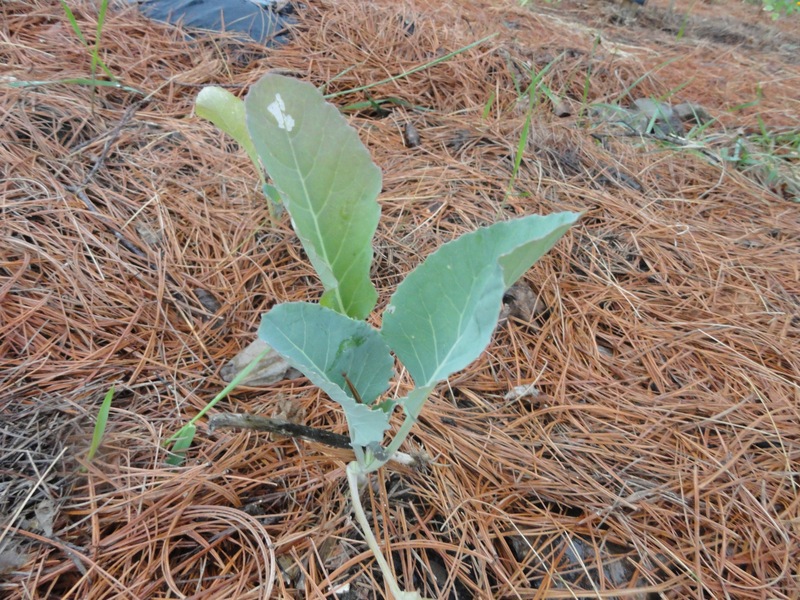 I was able to cover last year’s luffa bed, which is now extended. 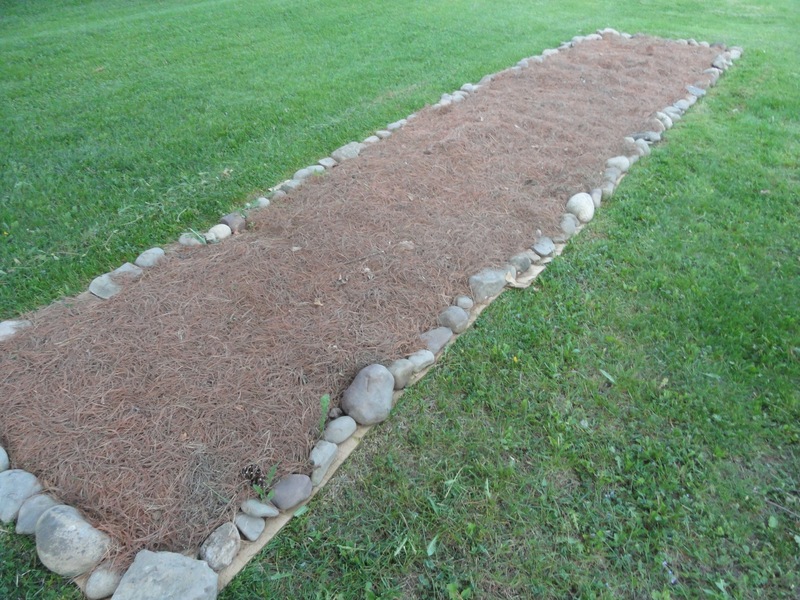 My goal is to plant this bed with plants that I will use to barter with my neighbor who currently sells us eggs. The extended bed looks nice. It should earn a few eggs. 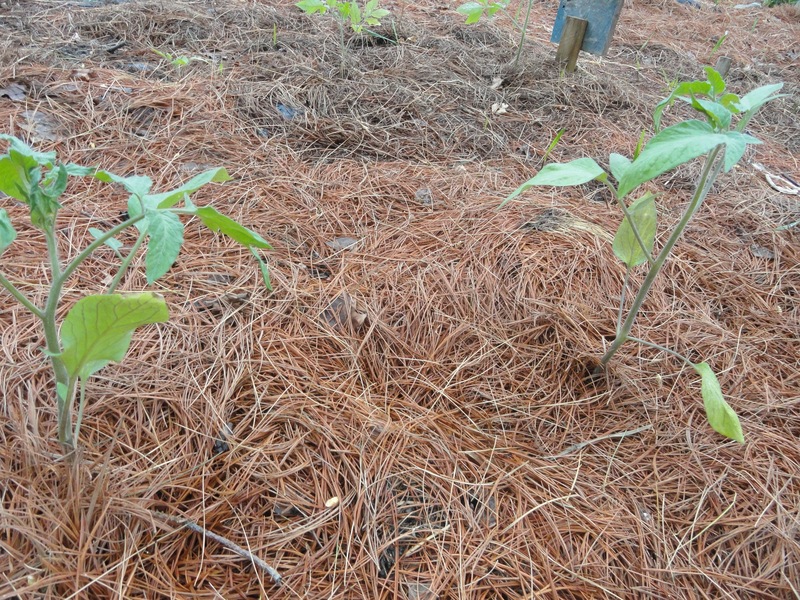 I was also able to mulch another large area. 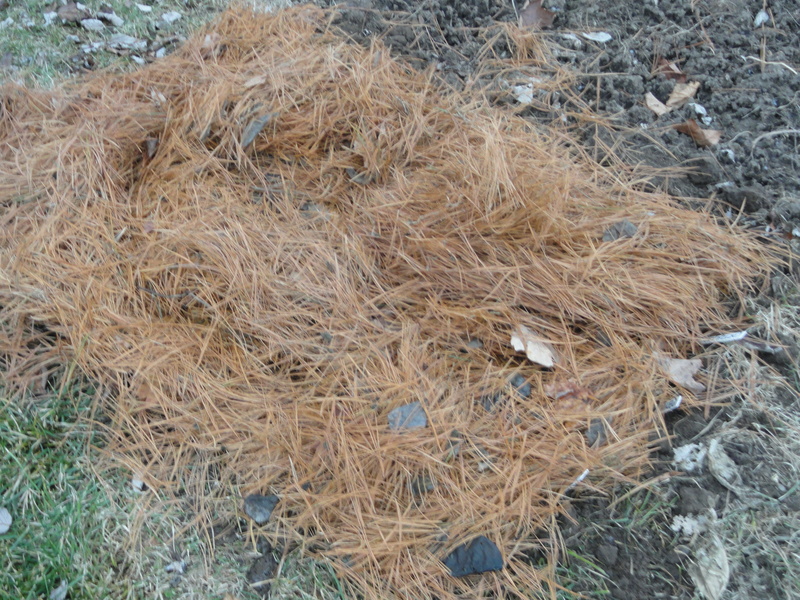 This area I covered with composting black plastic and pine needles. It covers quickly. I have used this plastic the past three years and it works well. The only down-side is that it is more expensive than the free cardboard I have been getting. This is a main area mulched. A few plant notes. 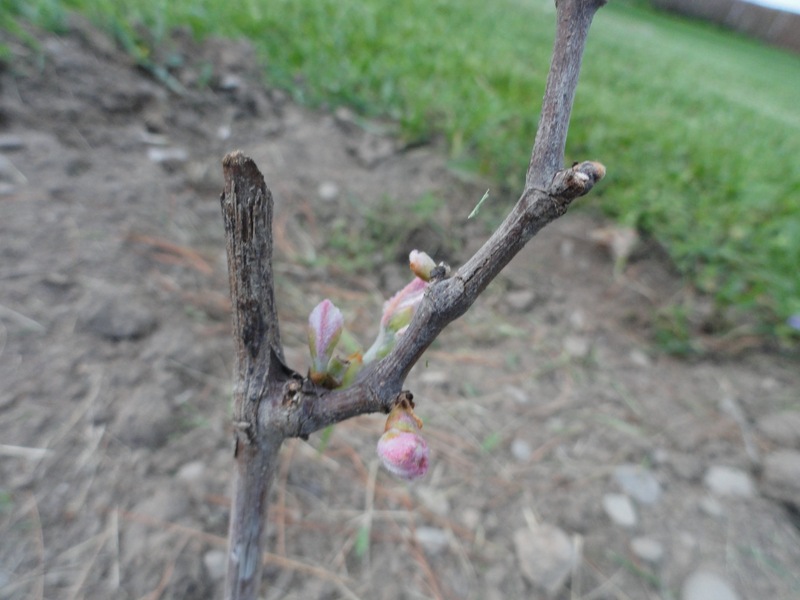 I was excited to see the Niagara grapes start to bud break. I am always nervous when working with a new plant. There is so much to learn, and I do not have a “feeling” for the timing of how things work. I am pleased to see them doing well. 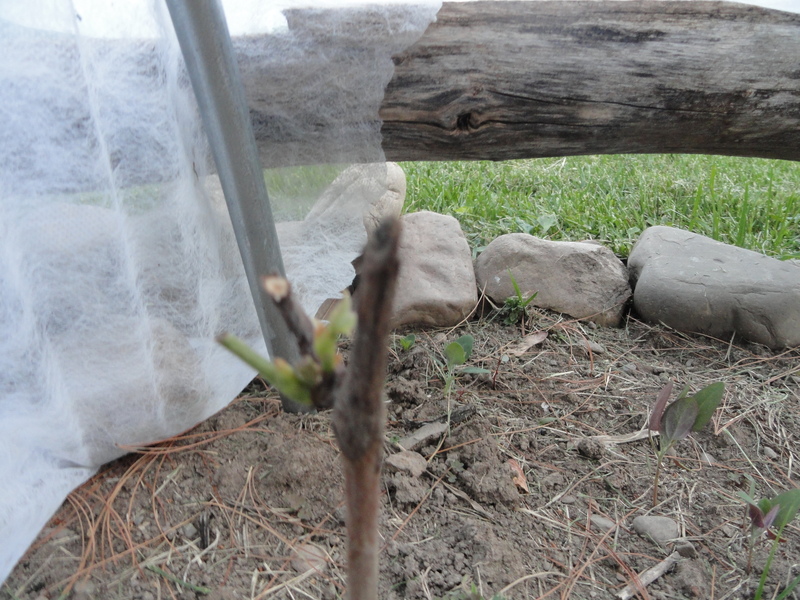 Next to the grapes are the red raspberries. Unfortunately, I do not think the over-winter canes did very well. I am going wait and see what happens with last year’s canes. If they do not leaf I will cut them. These raspberries fruit on the previous year’s canes so it appears there will be no spring raspberries on the Micro Farm this year. It is possible I will get a fall crop, if they follow their history. Plants sales are going on almost every day in our area. I have a couple that I like to support. One is at a local vocational high school. 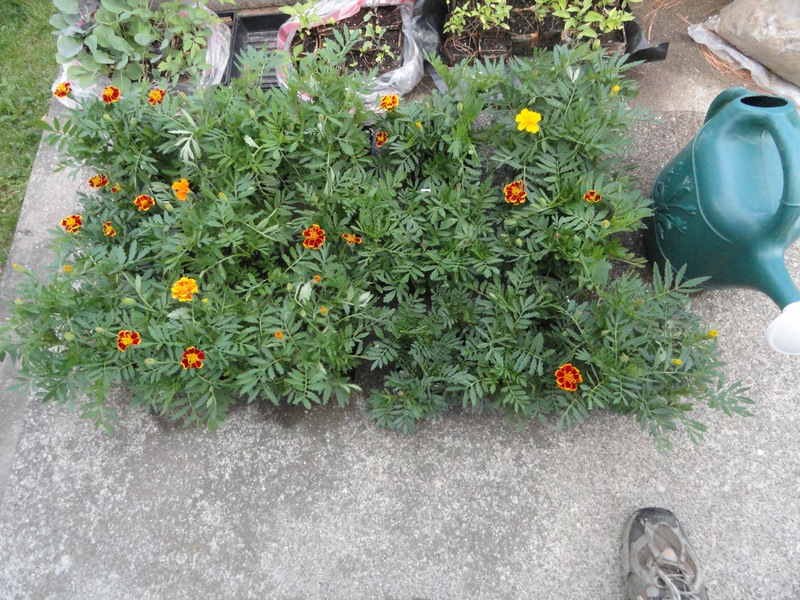 There are 96 marigold plants. I may have gone a bit overboard with the marigolds. I use many of them to border my gardens. They help keep the insects I do not want away. But 96? We have been getting adequate rain, and expect more this week. 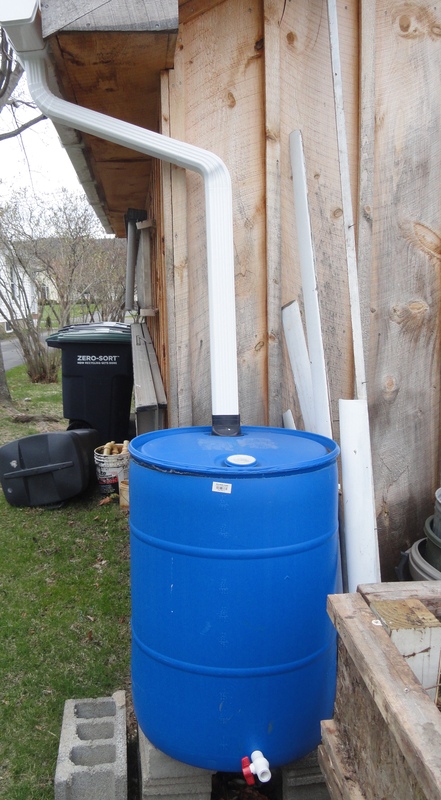 The rain barrels are full and I have been using them regularly. I enough water so far that I have not hooked up the hose at the house. It is great to not have to spend energy to pump up water from the ground to put it right back in when I water my plants. Now that they are hooked up, I have focused on making them a bit more attractive than giant, blue barrels that I am sure my neighbors love looking at. I found a couple of spray paint products that cover plastic. The one I picked up appears to work very well. I think it looks less conspicuous and is more appealing. Well, things are progressing on the Micro Farm. Planting transplants is coming soon. It has been tempting to put them in the ground, but late last week we had a frost warning. I can not risk it, I do not want to lose my plants now. To much work and time has gone in to them. They are doing well where they are. But, the time is coming. One project, two project, yeah! The past two weeks have been a busy around the Micro Farm. 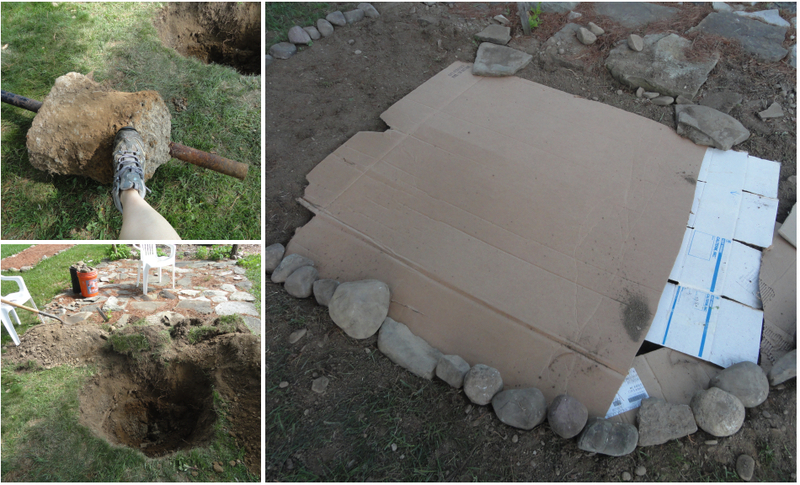 The first project was a new compost bin. 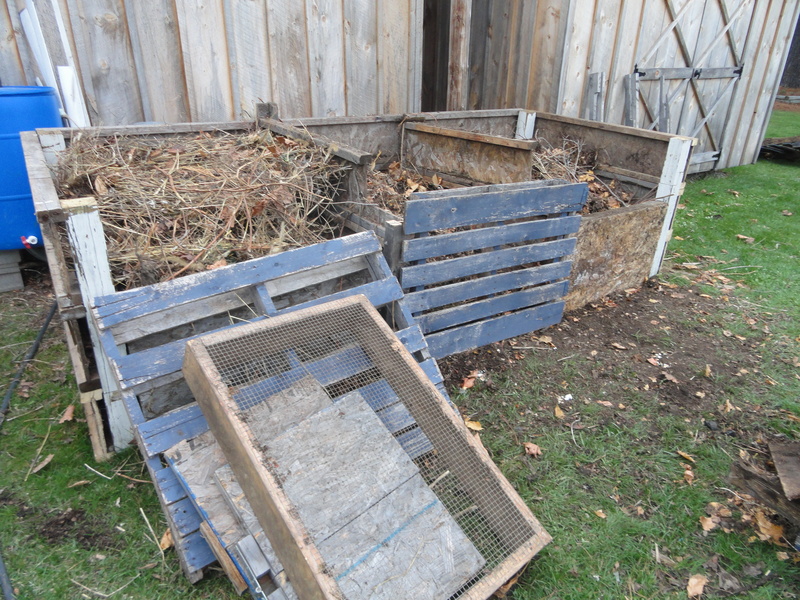 We have become the compost center for several households in our neighborhood. The two bins we had did not give us enough space. I also had several pieces of material that needed to be used. There are now three bins instead of two, and all three bins are larger in size. I also was able to sifted a load of compost in my lawn tractor trailer. I am hopeful these new bins will help us make more compost. 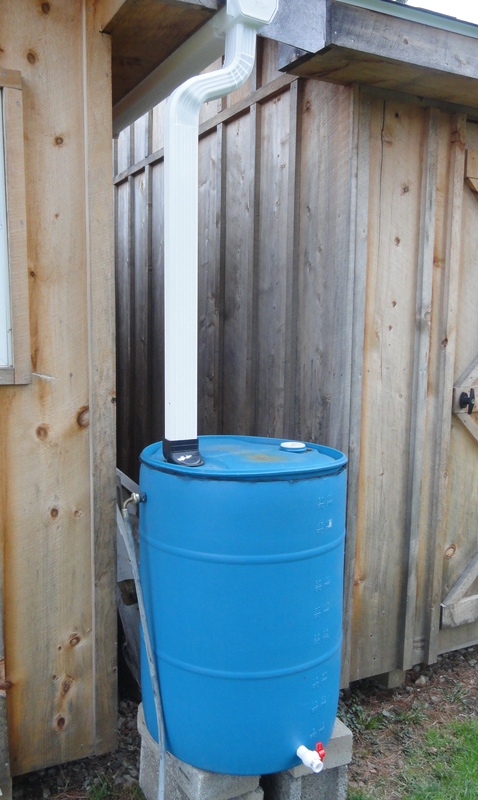 The second project has been connecting our rain-barrels. I was able to connect the first barrel using parts that I had on hand. This barrel is completely full after about two storms. 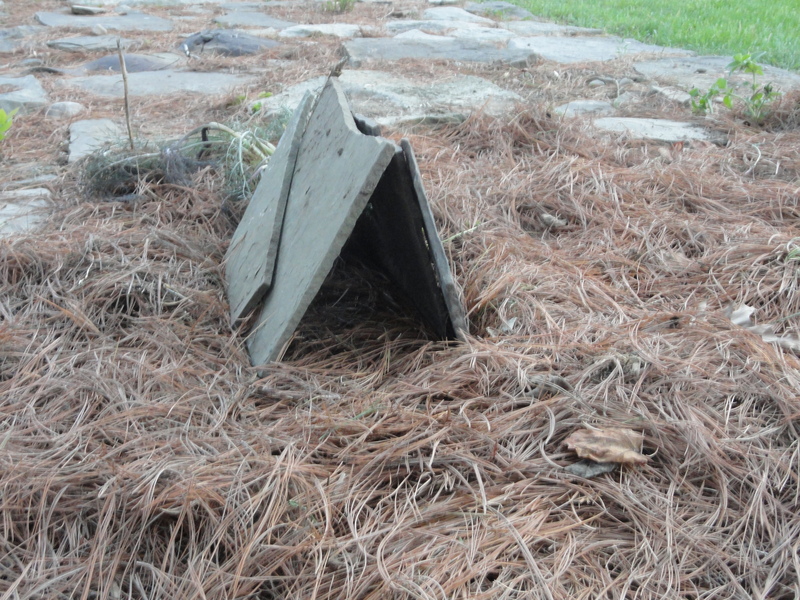 It collects from about 18 feet of gutter and fills with a small rain shower. Connecting the second barrel required new equipment. I am still waiting on a few parts from the store to complete the full set up. 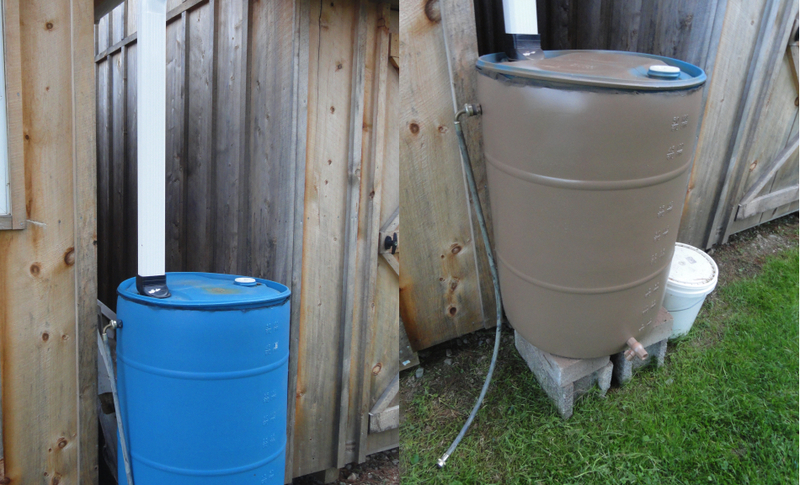 However, with a few pieces installed and a little rain fall I have been able to collect about ten gallons of water. Only 10 feet of gutter is connected, and the rain fall since it was connected has been small. I am not happy with how the downspout looks. After the rest of the parts arrive I will make that change and a few other small changes. 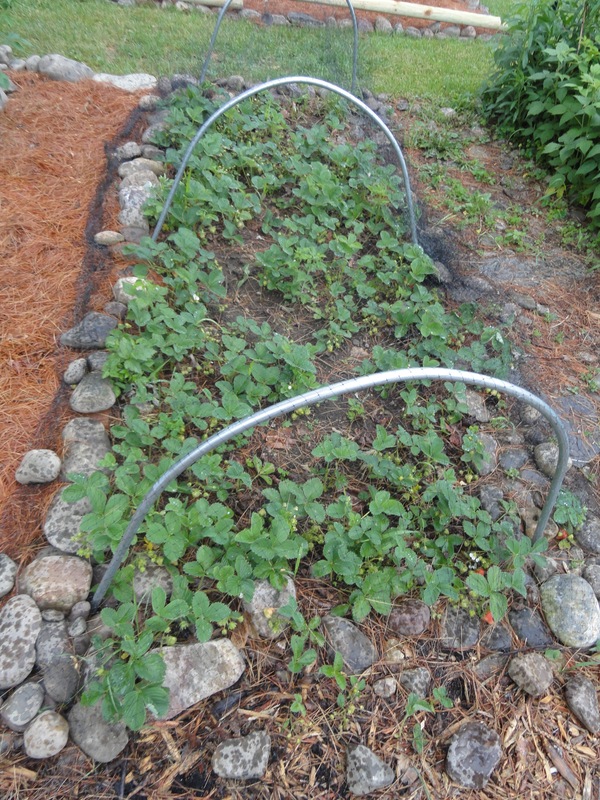 I have also planted several cool weather crops. The peas were planted but have not come up yet. The radishes have come up though. There are two varieties this year, an heirloom black radish and an heirloom red radish. 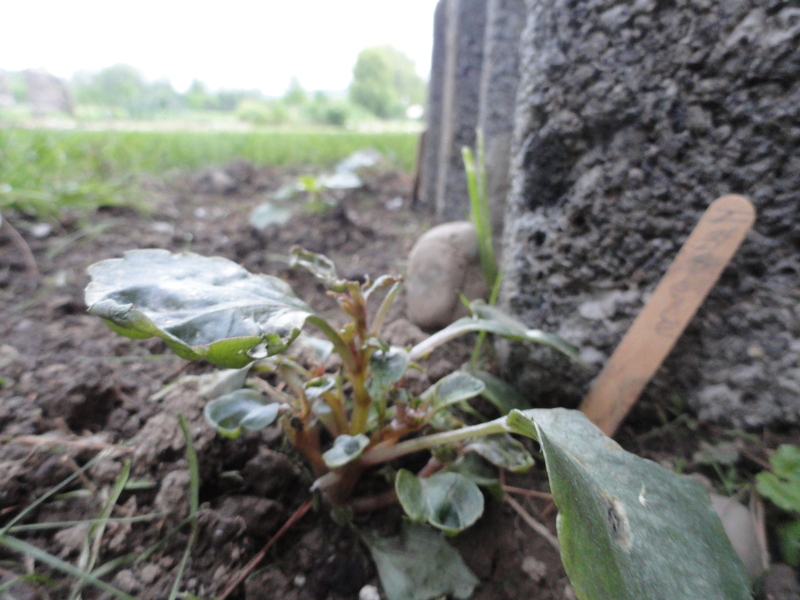 Small radish plants. You might have to look close. I walk in the garden everyday and I am still amazed to see the garlic as tall as it is. I have a good crop of plants. 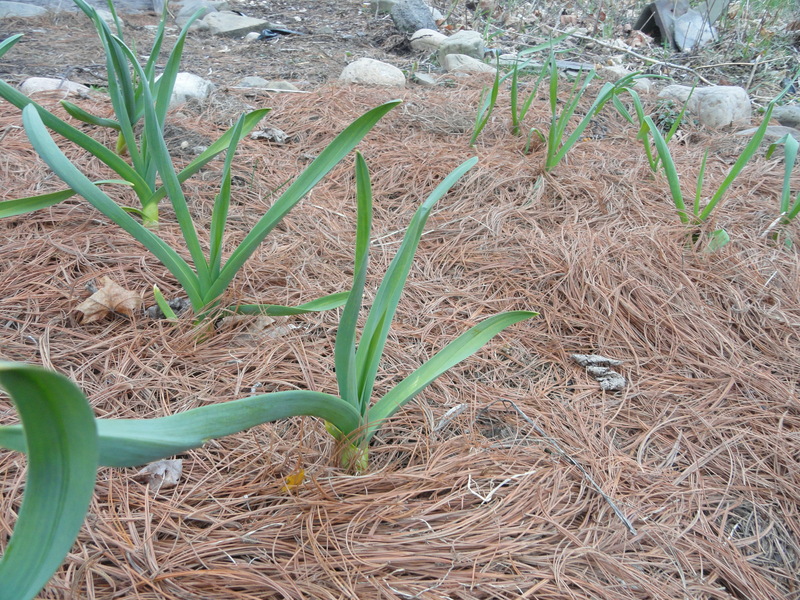 I planted four varieties of garlic in the fall. Two of the four did not come up. 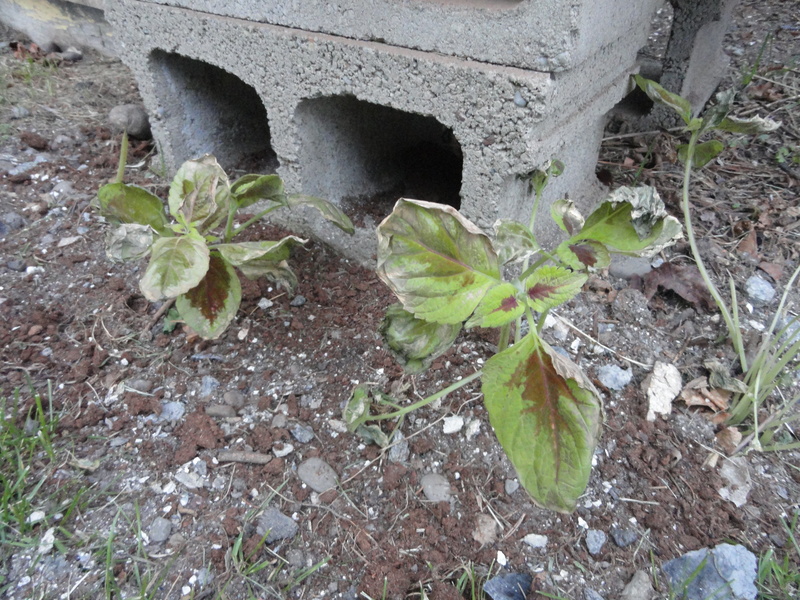 They did not look good when I planted them and was not surprised when they did not come up. The other two are very strong. It is difficult to see in the picture but each varieties’ greens have a different color and shape. I am excited to taste each variety. More projects are on the way. The seedlings are growing in the basement. It looks to be shaping up to be a nice spring. Hopefully, it warms up a little. Happy New Year. I hope your holidays were fun and safe. 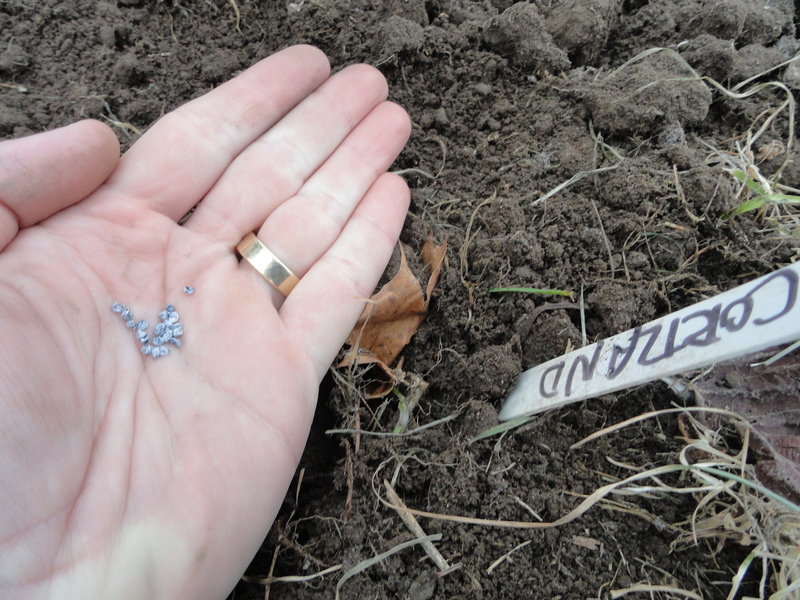 Planning for the 2015 planting has begun. 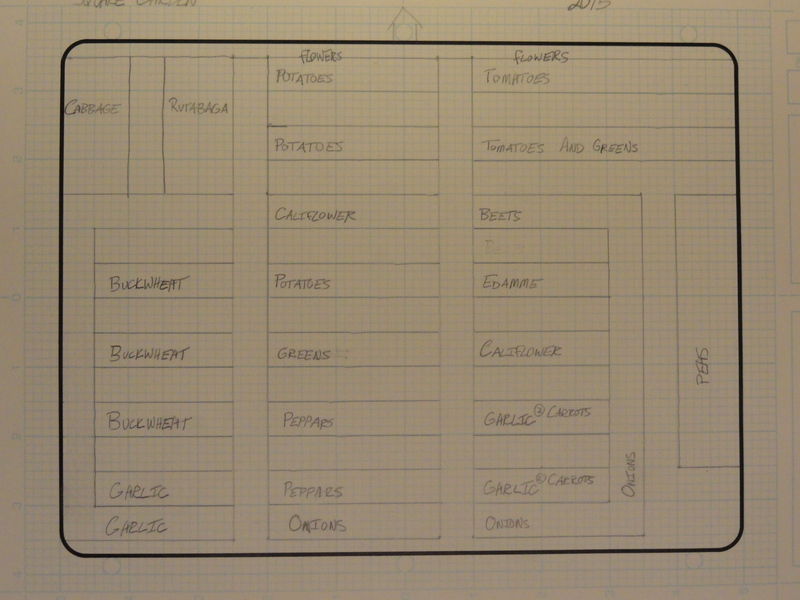 I have begun to plan my growing beds for the next year. There are always edits that need to be made, but for now I have a start. I practice rotating my crops and attempt to not put the same family of plants in the same row two years in a row. There are some challenges with space so that goal is not always achievable. In the square garden you will also notice several rows of buckwheat. Each year I take section of the growing beds “offline” and plant a cover crop. This year the cover crop will be buckwheat. It does not over winter and is easy to pull. I am planting buckwheat for the first time and I look forward to learning how it works at the Cohocton River Rock Micro Farm. The circle garden will be fully open this year, after two years of being planted with a cover crop. 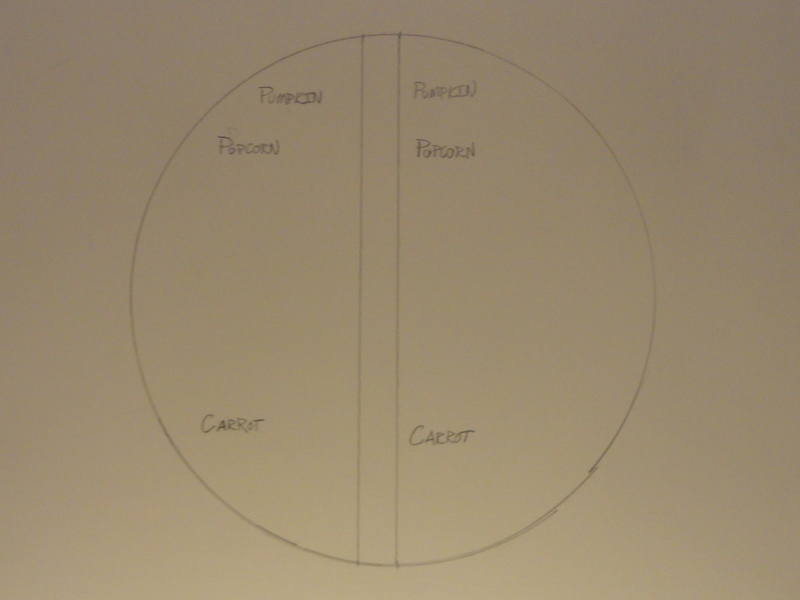 Having the entire circle is exciting because it is one of the easier places to plant popcorn, one of my favorite. Now that a general plan has been put into place the next step is plant variety selection. First, priority is using seed I currently have in my collection. Then I will look for varieties I do not currently have but plan to grow. Just a sample of the seed catalogs I have received. 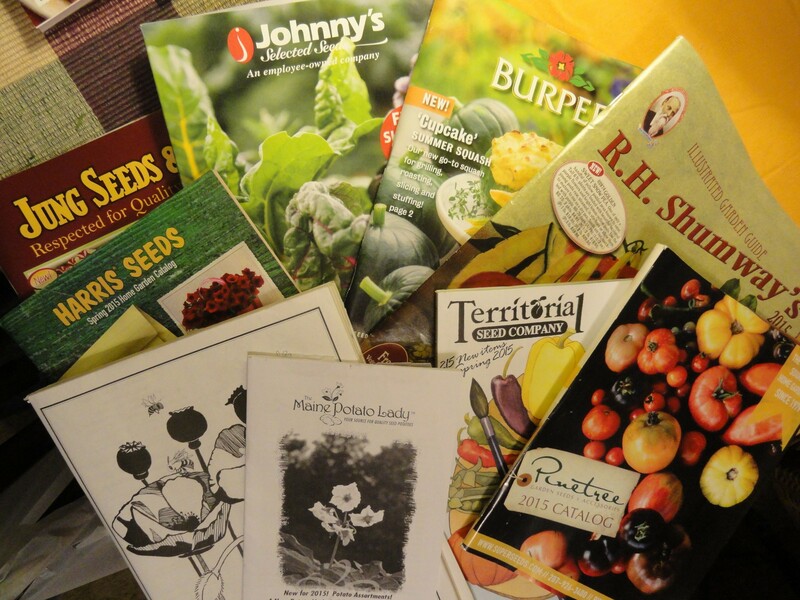 I have been receiving seed catalogs since before Christmas. Some go quickly in to the recycling bin. Others I spend time to read. Still, others I keep for the year for their growing information. Everyone has their favorites. I have mine, but my favorites are the ones that include lots of growing information. Several years I have tried to improve my succession growing (planting at different dates to have produce throughout the growing season). It has been a struggle. I have begun working with two spreadsheets created by Johnny’s Selected Seeds to help me be more specific about the dates I need to be planting. I am hoping this will be the next step to improving my succession growing plans. I guess I did have a New Year’s resolution after all. I hope your gardening resolutions all come to be. “I read somewhere…” is a phrase that gets me in trouble regularly. Typically, I connect two or more thoughts together that are not related. However, that is how today started. The weather here has been unseasonably warm and will be getting warmer the next couple of days. Today is the winter solstice, oh so few hours of daylight today. I remember reading, somewhere, it is optimal to plant onions on the shortest day of the year to harvest them on the longest day of the year. Well, I thought I would give it a try. The frost around the micro farm is barely an inch or two deep. The meager frost trying to hold on. 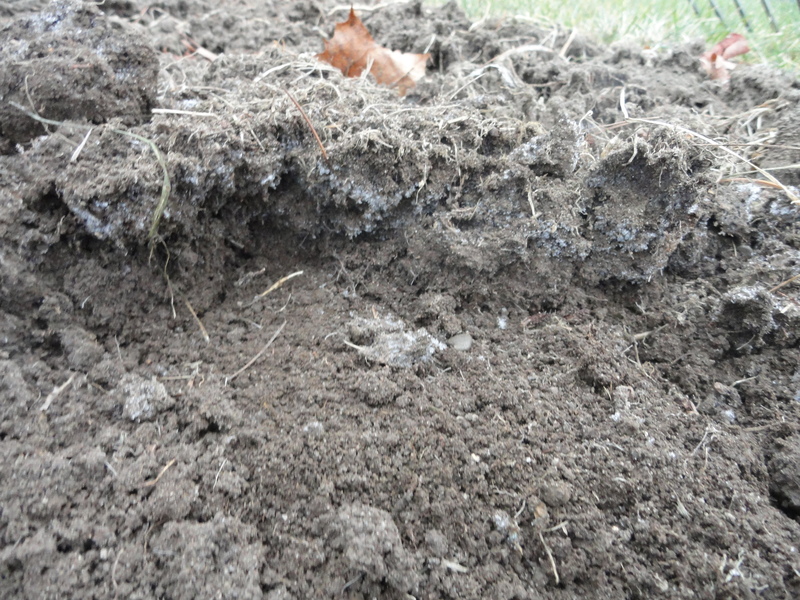 Under this layer the soil was loose and much warmer. 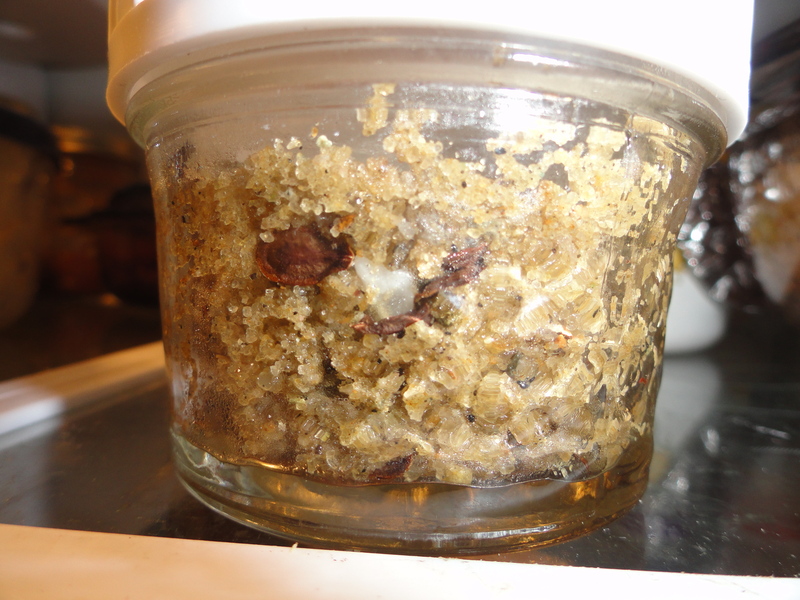 I mixed the two soils together. 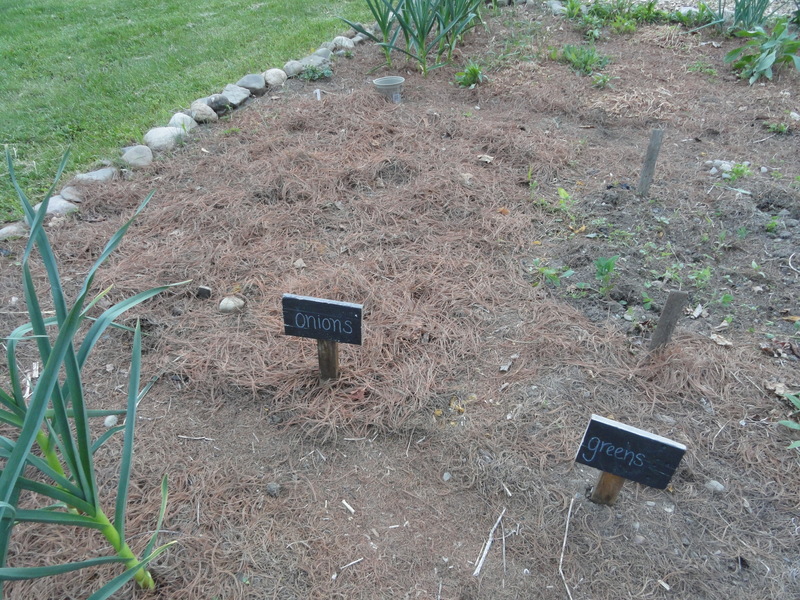 I planted two types of onion, Cortland – a storage, yellow onion; and Redwing – a storage, red onion. I also planted a short row of Lexton leeks. I have not had good luck with leeks in the past so I wanted to experiment with a few this year. Cortland seeds ready to be planted. Over the next few days the temperatures will be better for planting. I am traveling for Christmas and won’t get time to plant on the warmer days. The most challenging part of the past two weeks has been the lack of sun. Our televison weatherman predicted we may not see a sunny sky for another day or more. 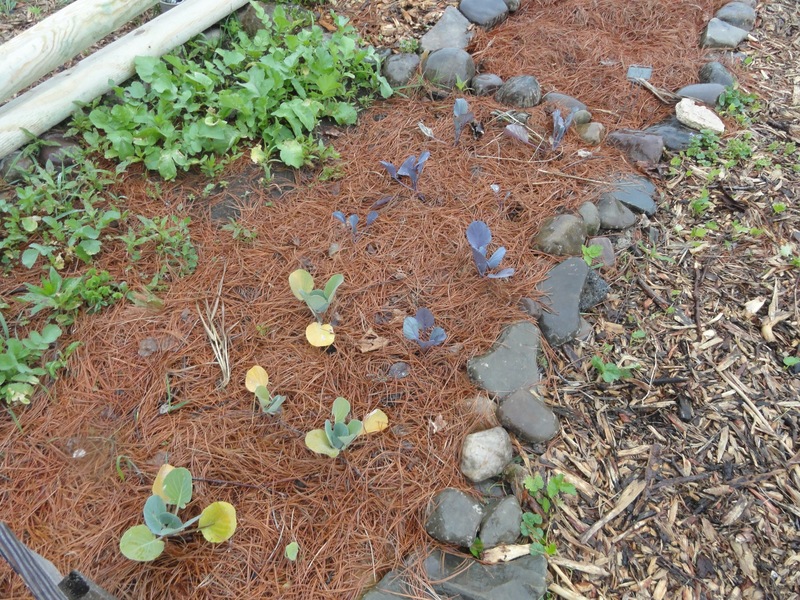 To help my seeds adjust to the soil with rain and varying temperatures I added at least two inches of pine needle mulch. 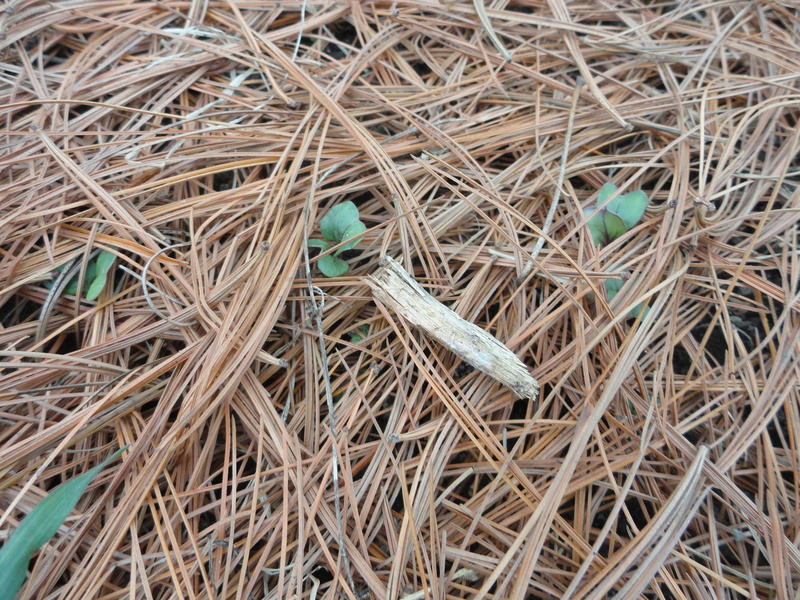 Hopefully the pine needles will act as a buffer as the rain, snow, and crazy temperatures come. We are enjoying a slower time around the micro farm. We here at Cohocton River Rock Micro Farm wish you a merry Christmas. We hope you have a wonderful and safe holiday.